There are fifteen Trustees representing the Greater Manchester High Sheriff’s Police Trust, consisting of three ex-officio Trustees and eleven elected Trustees. The Trustees meet on a quarterly basis throughout the year, and play an active role in the administration of the Trust including the consideration of all applications for grants. They are particularly interested in ensuring that those projects that have been granted funding are satisfactorily evaluated at their conclusion, ensuring best value for money. Ian joined GMP in April 2008 on promotion to Assistant Chief Constable. He started his career in Staffordshire Police in 1989 and has served in Northamptonshire and Cheshire Police where he was Divisional Commander for Chester and Ellesmere Port and the Cheshire Eastern Area Basic Command Unit. As an Assistant Chief Constable in GMP, Ian has had responsibility for Specialist Operations, Call Handling and Response Policing and territorial Divisions including Salford, Wigan and Trafford. Ian has much experience of managing large events such as Party Political Conferences, a number of high profile football games as well as significant protests, firearms incidents and critical incidents. Ian was also selected to undertake a three-month secondment as syndicate director for the 2011 Strategic Command Course at Bramshill. Ian has an MBA (distinction), Postgraduate Diploma in Operations Management and is a Fellow of the Chartered Management Institute. He is a Director of Marketing Manchester and the ACPO lead for both the Policing of Party Political Conferences and Digital Engagement. 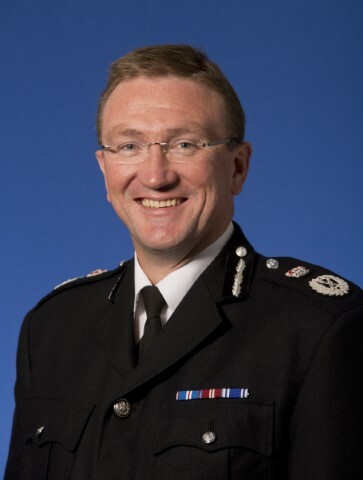 Ian was appointed Deputy Chief Constable of Greater Manchester Police in December 2011 with responsibility for Force performance, the Force Change Programme and Corporate Communications. Ian was appointed to Chief Constable in November 2015. Sharman has always lived in Tameside and was educated at Fairfield High School for Girls. After working in the Banking Sector for almost thirty years Sharman took early retirement in 1997. Since then she has concentrated on her Voluntary work which has included serving as Deputy Chairman of Governors at a local primary school and serving as a member of the Independent Monitoring Board at HMP/YOI Forest Bank. Sharman was appointed as a Magistrate on the Manchester City Bench in 1981 and in addition to serving on the Adult and Family Panels she became Chairman of the Licensing Panel and then spent three years as Deputy Bench Chairman. She was elected to the position of Bench Chairman in 2009, a position she held for four years, during which time she oversaw the merger of the Manchester Bench with the City of Salford Bench. After serving the Bench for thirty two years she decided to transfer to the Supplemental List in 2013. In addition Sharman is a member of several Benevolent & Charitable Committees, including the Cotton Districts & Barnes Charity, the Duchy of Lancaster Benevolent Fund, the Manchester Guardian Society, the Relief in Need Charities and the JT Blair Charity. Sharman is a member of Soroptimists International which supports local, national and international causes for the benefit of women and children. Sharman works, part‐time, in the local Church of the Epiphany Charity Shop and is a member of the Christie Hospital Foundation. She also supports Guide Bridge Amateur Theatre and, as an animal lover, is passionate about the work of the Donkey Sanctuary and Manchester Dogs Home. 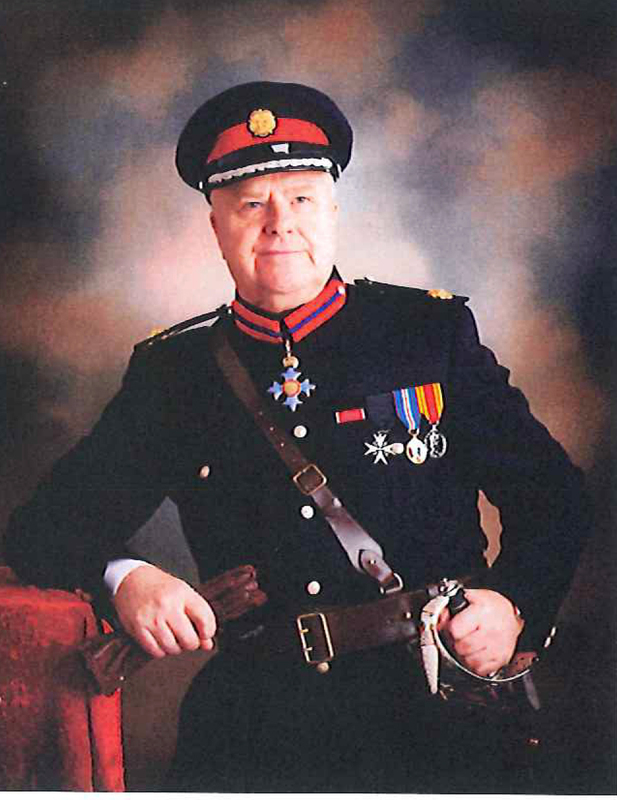 Sharman was honoured to be appointed as a Deputy Lieutenant of Greater Manchester in 2009. Sharman married Grahame in 1987 and when not too busy they enjoy walking with their Welsh terrier, Tallulah. They are also interested in local history and are members of the Royal Society of St. George. Football and dancing are other passions! Edith was educated at Manchester Metropolitan University where she was awarded a B.A. (Hons) Humanities. Over the years Edith has given a significant amount of her time to the community and to a number of different charities. Edith joined the Greater Manchester Branch of the British Red Cross in 1978 and since that time has held varied responsibilities including: District co-ordinator, Finance committee member, Branch Trustee, Awards Panel Chairman, 125th Birthday Chairman, North West Chairman of the National Humanity Awards, Landmine Appeal Chairman, a member of the Board for British Red Cross Events Ltd, committee member of the International Red Cross Gala Ball, Honorary Branch Director and chairman of the Manchester Gala Ball. In 1989 Edith was awarded the Badge of Honour for Devoted Service and Honorary Life Membership and in 1993 the Badge of Honour for Continued Dedicated and Distinguished Service. She was appointed Deputy President of The Greater Manchester Red Cross in 1995 and that same year she was appointed Magistrate to the Bolton Bench and became a chairman in 2000. In 1999 she was appointed President of the Greater Manchester Red Cross. In 2000 Edith was honoured by Her Majesty The Queen when she was awarded the OBE for services to The Greater Manchester Red Cross. 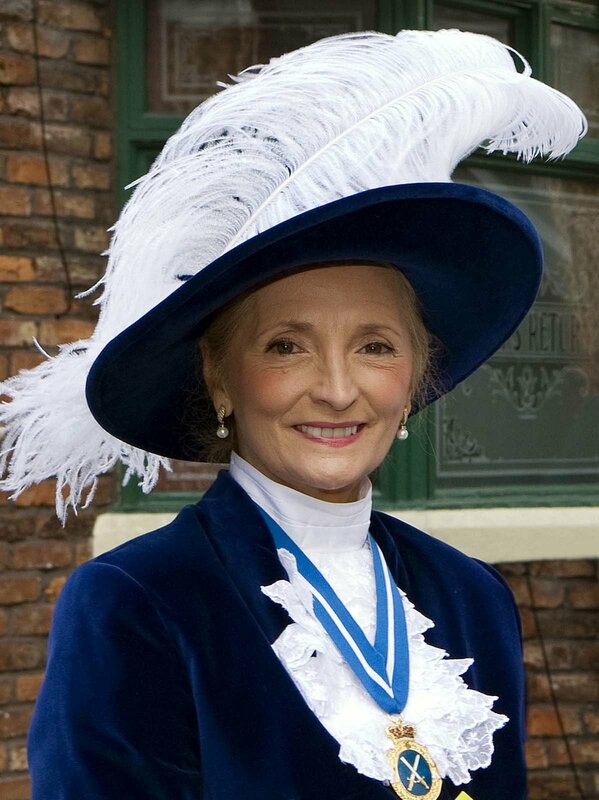 Also in 2000 Edith was appointed a Deputy Lieutenant of Greater Manchester. Edith’s interest in the Red Cross continues and grows; she was appointed President of the North West Area of the British Red Cross in 2005 and received the Badge of Honour for Outstanding Service to the British Red Cross. Edith is married to Stephen and they have two children Mark Henry and Joanne Claire and have two grandchildren Luca Ben and Meg Norah. Following service in the Royal Navy, Vincent joined Northumbria Police in 1977, transferring to GMP as Assistant Chief Constable in April 1994. He held most chief officer portfolios and membership of national ACPO Committees dealing with IT, Crime, Terrorism and HR, and was a member of the ACPO Cabinet and Board of Directors until his retirement in July 2007. He holds an honours degree in Criminal Justice Studies and is a graduate of the FBI National Academy at Quantico, U.S.A. He was awarded the Queen’s Police Medal in the 2007 New Year Honours list. Married with three daughters he leads a very active life. As well as his work with the Trust, he is a governor of Loreto Grammar School, Altrincham and is a member of the Council of the Order of St John and the Greater Manchester SaBRE committee, supporting employers of Armed Forces Reservist. He enjoys skiing and is a keen golfer and sailor. Shauna was born in Stretford, Manchester, the eldest of eight children. She joined the Health service in 1966 as a cadet nurse at Ashton under Lyne General Hospital later qualifying as Registered Nurse, Midwife and Health Visitor. Shauna has worked in hospitals and in the community across both greater Manchester and Merseyside. In 1990 Shauna was appointed to the board of the Family Health Services Authority and then to West Pennine Heath Authority. She moved to St. Helens and Knowsley serving on the Primary care Groups boards and then subsequently became Executive Nurse of knowsley Primary Trust board. In August 1989 Shauna joined the Territorial Army 207 Manchester General Hospital and was commissioned as a Captain in December 1989. She has been actively involved and provided support to Executive Stretch, International shooting competitions, Royal International Air Tattoo’s and the Njmegan marches. In 2000 Shauna was promoted to the rank of Lieutenant Colonel and appointed Matron of 207 (Manchester) Field Hospital. She led the nursing squadron supporting her Commanding Officer in becoming one of the first TA units to achieve Role 5 Status in preparation for deployment. ; the unit successfully deployed in 2004. Shauna became a member of the Reserve Forces and Cadets association in 2003 and has recently joined the Manchester SaBRE committee. In October of 2007 Shauna was appointed a Governor to the Corporation of The Oldham College and is currently Director of Clinical Leadership ,Deputy Chief Executive of Oldham Primary Care trust. Shauna have been married to Bryan for 37 years and they have two children one a serving officer in the Royal Air force and the other working for a local Primary Care Trust. Shauna was honoured by Her Majesty The Queen in the New Years Honours List and was awarded an MBE. Christian was born in Denmark and after a few years moved with his family to England in 1955. He went to school in Epsom, Surrey and then to Manchester University School of Architecture qualifying as an Architect in 1976. Christian and his wife Dian live in Cheadle Hulme. They have three sons who have all qualified as engineers and are currently working abroad. Christian is the co-founder and Managing Director of AEW Architects, a busy practice based in the City Centre of Manchester since 1992 and currently employs 62 people. He was appointed Honorary Consul for Denmark for Manchester and the North West in 1998 and was awarded the Danish Service Medal ‘Rider of Danebrog’ 1st Class in 2006. 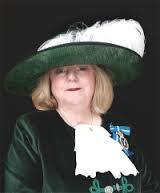 Christian was appointed Deputy Lieutenant in 2004, and served as the High Sheriff of Greater Manchester in 2009/10. He enjoys playing squash, travelling, sailing, cycling, reading, cinema and theatre. George was born in Portsmouth, Hampshire and was educated at Portsmouth High School. He joined the Hampshire Fire Service in 1962 and moved to Cheshire in 1970. In 1982, he moved to Greater Manchester Fire Service as Assistant County Fire Officer and was subsequently promoted to Deputy County Fire Officer in 1990 and County Fire Officer and Chief Executive in 1995. He retired in 2002 after 40 years service. George has also served as the International President of the Institution of Fire Engineers, Chairman of the Fire Services National Benevolent Fund, Chairman of the Regional Chief Fire Officers Association and as a Government advisor. He has also been a Member of the Worshipful Company of Firefighters, President of the Rotary Club of Manchester and is a Freeman of the City of London. In recognition of his contribution to the Fire Service and local community, George has been awarded Honorary Degrees by the Universities of Salford and Bolton. He received the Queen’s Long Service and Good Conduct Medal and the Queen’s Jubilee Medal and was made a Serving Brother of the Order of St John of Jerusalem and subsequently, an Officer Brother. Her Majesty The Queen appointed George a Member of the Order of the British Empire in 1992 and as a Commander of the Order of the British Empire in 2000 for his contribution to Fire Engineering, both nationally and internationally. Since his retirement, he works as a Fire Consultant, an Independent Member of the Police Misconduct Panels, Chairman of the Emmaus North West Partnership, Vice Chairman of Emmaus (Bolton), Vice Chairman of Broughton House, the Care Home for Ex Service Men and Women and until 2007, was the Commander of St John Ambulance, Greater Manchester. His publications include, Accidents, Injuries and Illnesses to Firemen; Elementary Fire Engineering Handbook and was a contributor to The Fire Service Drill Book. 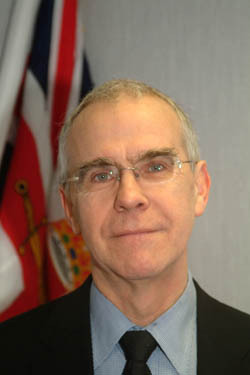 George was appointed a Deputy Lieutenant in 1999 and High Sheriff of Greater Manchester in 2012. Paul is Chairman of the Monastery of St Francis & Gorton Trust, a charity he co-founded with his wife Elaine in 1996 to save the Pugin designed Gorton Monastery in east Manchester from ruin. He has over 40 years experience in the food industry, including senior roles at ASDA and United Co-operatives and board appointments at Danish Bacon and Interlink Foods Plc. He was honoured to be appointed a Deputy Lieutenant of Greater Manchester in 2004 and High Sheriff of the County in 2013/14. He is an assessor for the Queen’s Award for Voluntary Service, a trustee of The Manchester Guardian Society Charitable Trust and a member of the Duchy of Lancaster Benevolent Fund panel in Greater Manchester. He also sits on the North-West advisory board of one of the Prince’s Charities-Business in the Community. In 2012 The Heritage Alliance made him its National Heritage Hero for his work at the Monastery. In 2014 he received an Honorary Doctorate, for services to Community from The University of Bolton. He is a qualified Helicopter Pilot and a keen follower of Manchester United. Nicolas was born in 1952 and was educated at Tre-Arddur House School, Anglesey and Malvern College, Worcester. He was an Articled Clerk at Grierson, Thompson, Carter & Co, Chartered Accountants, Manchester; he was admitted as an Associate of The Institute of Chartered Accountants in England and Wales and became a Fellow of the Institute of Chartered Accountants in England and Wales. His qualified continued with Deloitte & Co (later Deloitte Haskins & Sells), Chartered Accountants, Manchester for six years. From 1981 he became a Partner at Finlay Robertson Chartered Accountants, Manchester, and he remains in that role today. Nicolas has given a great deal of time to the community over the years, specifically to St John in Greater Manchester. He became a member of Council in 1984 as the Honorary Treasurer; his work was recognised seven years later when he was appointed Officer Brother and later Commander Brother. In 2001 he was appointed a Knight of St John. 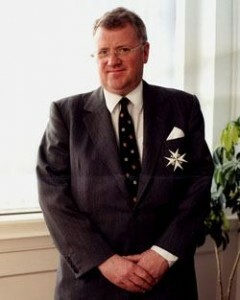 Nicholas became Chairman of the Priory of England Financing Group, St John Ambulance and was appointed Chairman of Council St John Ambulance in Greater Manchester, the Priory of England and the Islands in 1997. He has served as a member of Council, The Order of St John, Priory of England and the Islands since 2005 from which he retires in 2008. He was made a Deputy Lieutenant of the County of Greater Manchester in 2001. Nicholas has published several papers on ‘The Role of Accountants in Matrimonial Disputes and Separation’ and the taxation consequences of divorce as well as a Press article on ‘The Role of Expert Witnesses following the Woolf Report’. Mrs Lee-Jones has worked in education for over 38 years and is the former Headmistress of Manchester High School for Girls, an academically selective independent school. In this capacity she was very active in the Girls School Association, chairing the Professional Development Committee, training newly appointed Head teachers, serving on the GSA Council and representing the GSA on the Independent School Council Teacher Induction Panel. She continues to be a registered inspector with the Independent Schools’ Inspectorate. On her retirement she was appointed a Non Executive Director at the Walton Centre NHS Foundation Trust, the only stand- alone specialist neurological hospital in the country. She chaired the Governance, Risk and Quality Committee for six years until the end of her period of office in 2014 and served on the Audit Committee and the Remuneration Committee. 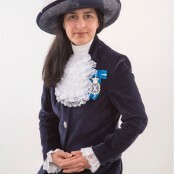 Mrs Lee-Jones was High Sheriff of Greater Manchester in 2011-12 and has been a Deputy Lieutenant for the county since 2007. She has been a JP since 2008. 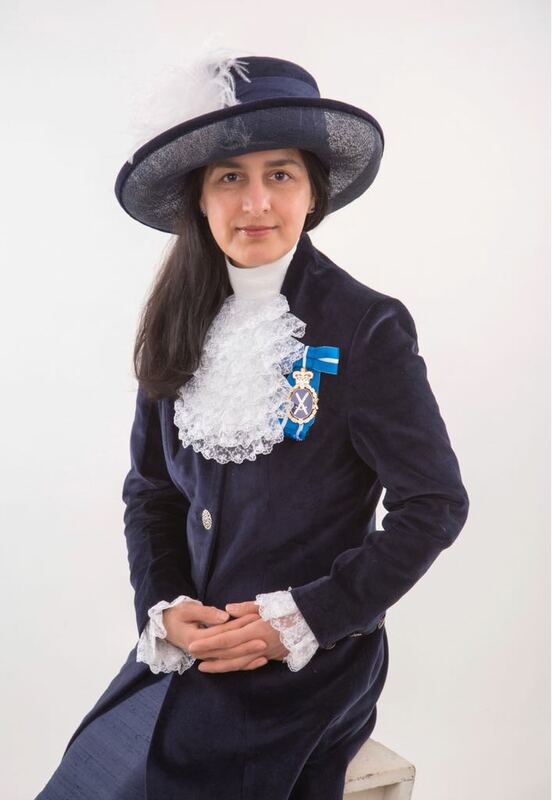 As well as being a trustee of the Greater Manchester Police High Sheriff Trust, she is also a trustee of Genesis Breast Cancer Prevention Charity, an Ambassador for Cancer Research UK and a volunteer for Breast Cancer Care. Michael graduated from Leeds University in Maths and Philosophy in 1968. He worked in the food industry in quality control before going to Bradford University Management Centre to study for a Masters Degree. There he became interested in local government and joined a small research unit which was looking at the reorganisation of local government which was due to happen in 1974. 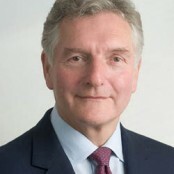 In that year he joined Leeds City Council where he held a number of increasingly senior management positions, including working as assistant to the Chief Executive. In 1984 he became Chief Executive and County Treasurer of Powys County Council in Wales and took up the post of Chief Executive of Tameside Metropolitan Borough Council in 1990. Tameside Council achieved excellent status in the Comprehensive Performance Assessment. He left Tameside in 2003 to take up the post of Director of Local Government Practice (North West) for (then) ODPM. This was concerned with improvement and performance across local government in the Region. Since leaving that post in late 2006, Michael has been Chairman of Stockport PCT. He is a Chartered Public Finance Accountant. He has been a Director of Manchester Training and Enterprise Council, Manchester Enterprises and the Hallé Concerts Society. He was also a Governor of Tameside College of Further Education and a non-executive director of Tameside & Glossop Acute NHS Trust. 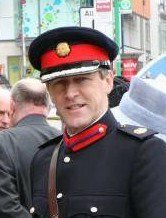 Michael was appointed a Deputy Lieutenant in 2007 and is currently serving as a Trustee for the Greater Manchester High Sheriff’s Police Trust. Paul Lee was the Senior Partner of Addleshaw Goddard LLP, a leading UK law firm. Paul lives in Didsbury which is where he was born. He was educated at Manchester Central Grammar School and Clare College, Cambridge. 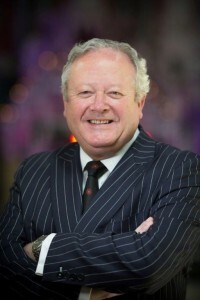 He joined Addleshaws in 1970, became Managing Partner in 1991, and Senior Partner in 1997. He has interests in the arts, business and education. 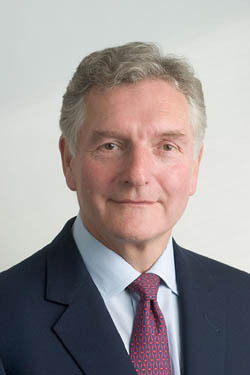 He is Chairman of the Board of the Royal Exchange Theatre and has served on the boards of Opera North, the Northern Ballet Theatre and the Royal Northern College of Music. He is also Chairman of the Feoffees of Chetham’s School of Music and was for many years Chairman of the School Committee of Chetham’s. He is a Board member of the CBI and of Barlows plc, a Chester based property company. He sits on the Board of the North West Business Leadership Team. He also has directorships in private companies, including a London based antique jewellery business. He was for six years a director of the Yorkshire Building Society. His interests outside work in addition to the above include wine, horseracing and travel. He is married to Elisabeth, a solicitor, and has 3 children.